[Gift] Happy Pawsome Birthday, Duplex! This is a late gift for my bro. 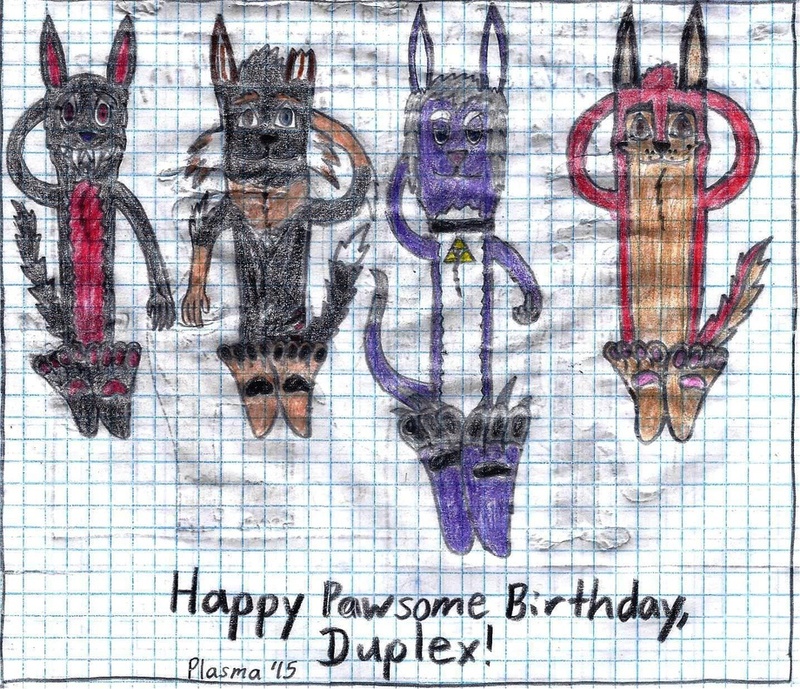 This is shows Plasma, Duplex, Rachel and Bandit showing off their paws on the dox's birthday. Artwork/Plasma and Rachel are © to me.